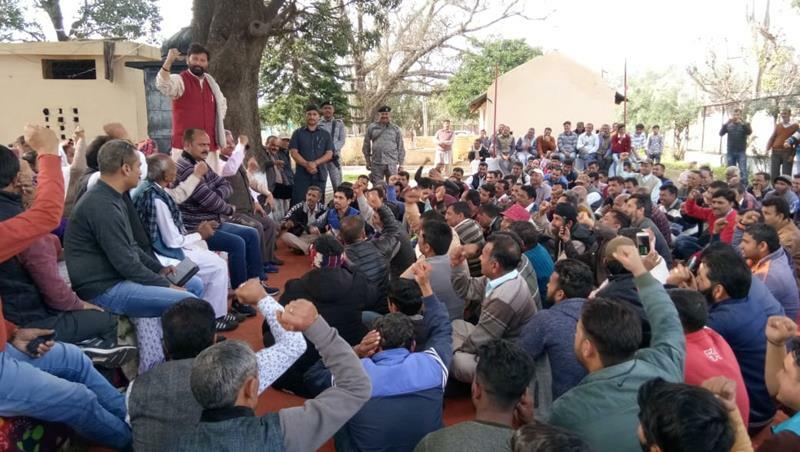 KATHUA: In his election campaign at Basohli, Ch Lal Singh has appealed the people of Jammu province to establish that the time has come to show the strength of Dogras. "People of Jammu who are struggling for the CBI inquiry for the last one year have now shown the strength. Let this time the voice of the Dogras be heard in the Parliament," he said, while addressing an impressive gathering. "The people of Kashmir are voting for their own leaders on the Kashmiri centric agenda and those elected leaders are also working for only Kashmiri people but this is for the first time that Dogra candidate on the Dogra Swabhimaan Sangathan is contesting the elections on both the seats of Jammu," he said and appealed people of both the constituencies that Jammu should vote for the Dogra candidate so that discrimination against the region can be highlighted in the Parliament. Lal Singh reiterated that DSS will strive for implementation of its Vision Document from the day one in the Parliament. He further said that J&K is the integral part of India only because of Jammu and any attempt to demean the people of Jammu can be counterproductive. "The people of Jammu have been labeled as pro rapists and pro criminals by the pseudo nationalist leaders of the Kashmir and the Government at the Center is continuously providing the support to these leaders and their supporters. On the other hand, the people of Jammu province, who always stood for nation and sacrificed everything to maintain its sovereignty, have been marginalized. All the attempts have been made to destabilize the rich heritage and culture of Dogras by the Kashmiri centric leaders," he said. Dr Hari Dutt Shishu also addressed the gathering and pledged that all those forces trying to sabotage the cause of Jammu, shall be exposed and DSS shall made them to lick dust in the coming election of Parliament. He further said that the forthcoming election is going to be a litmus test for all the Dogras of Jammu and DSS shall have a landslide victory on both constituencies of Parliament.